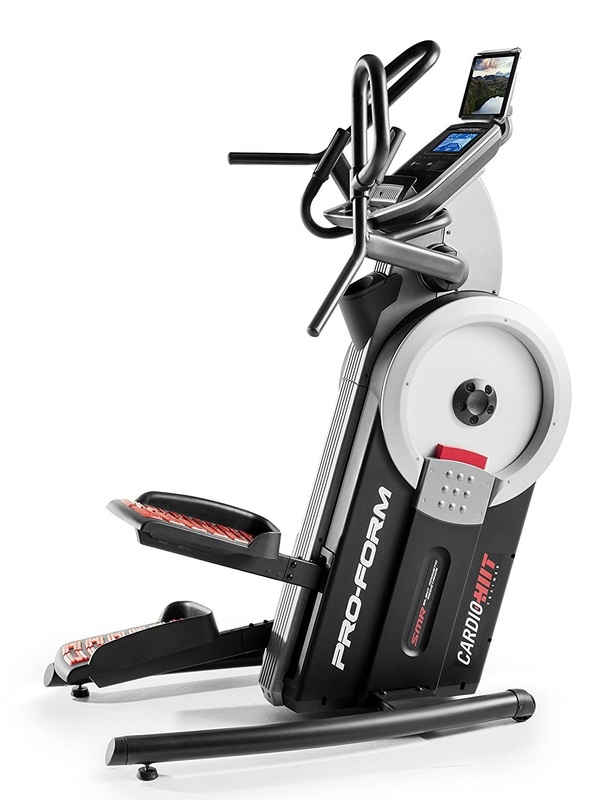 The ProForm Cardio Hiit is a compact high-intensity elliptical stepper trainer that’s ideal for high intensity interval training in the comfort of your own home. The ProForm Cardio Hiit Elliptical Stepper is sturdily built with a commercial-grade steel frame construction and utilizes a 28 lb inertia-enhanced flywheel with silent frictionless magnetic resistance for smooth consistent performance. 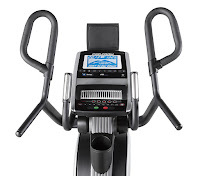 This compact elliptical stepper features oversized cushioned pedals with a 5” horizontal elliptical stepping path with a 10” vertical path to work your legs while the moving handlebars with multi-position grips add an upper body workout. There are plenty of features on the ProForm Cardio Hiit to keep your workouts varied and challenging. It offers 24 digital resistance levels and 32 preset workout apps, including calorie goals, intensity, speed and incline programs. In addition to the preset programs, the ProForm Cardio Hiit is Smart Bluetooth and iFit compatible, offering you unlimited training options from an online workout library as well as training routes on Google Maps. 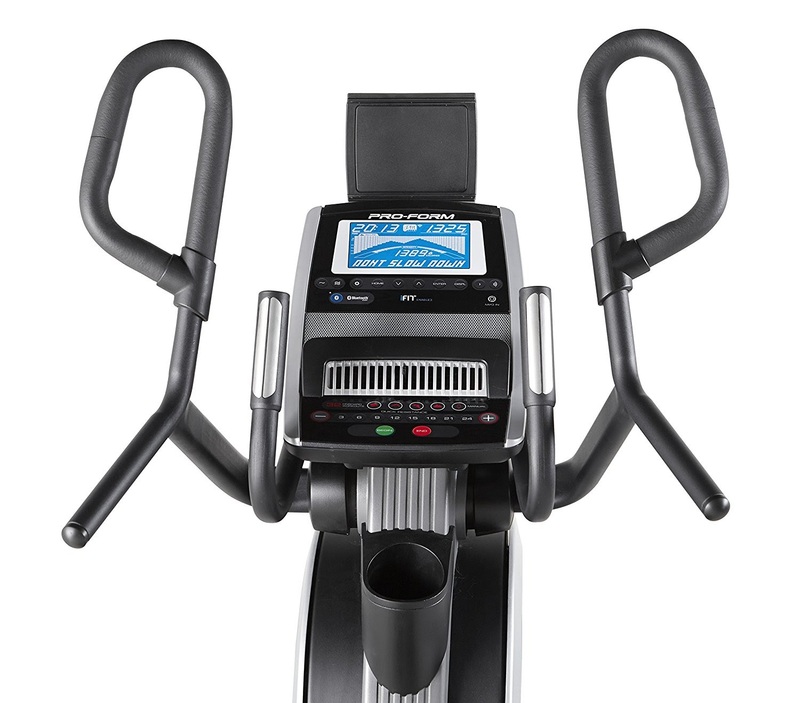 The ProForm Cardio Hiit Elliptical Stepper’s console features a 7” blue backlit LCD screen that displays motivating workout stats, supplying you with all the key feedback you need on your workout including intensity, speed, time, distance, calories burned and pulse. Your pulse heart-rate is measured via built-in dual EKG pulse grip sensors in the static handlebars to help you stay within your target heart-rate zone. Additional features of the ProForm Cardio Hiit’s console include audio speakers with MP3/iPod compatibility so you can listen to your favorite music as you train. There’s a tablet holder sensibly located at the top of the console so it doesn’t obscure the console’s own screen display like many other machines do. There’s even a CoolAire workout fan to help keep you cool and a water bottle holder is located just under the console so you can keep hydrated as you exercise. 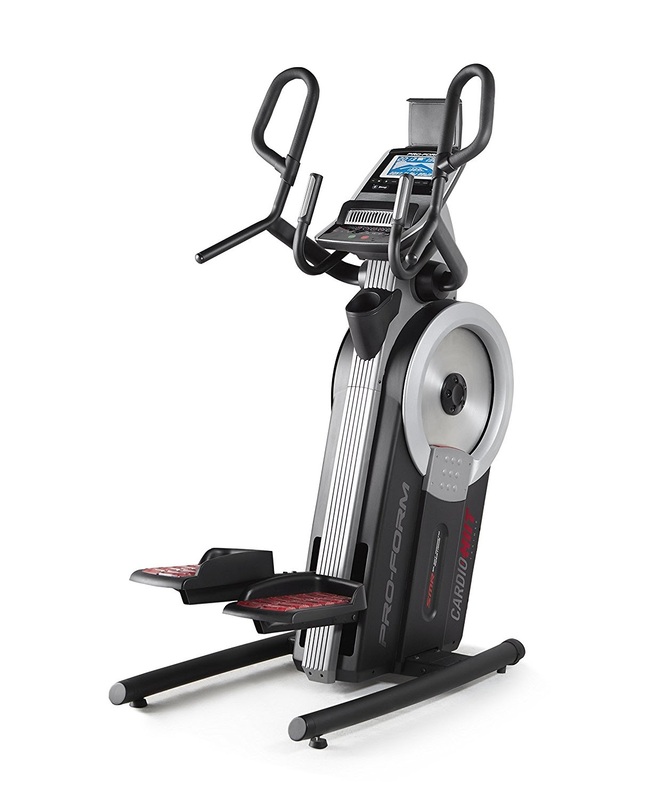 The ProForm Cardio Hiit Elliptical Stepper comes with leveling feet for added stability and supports a user weight capacity of up to 350 lbs. The CardioHiit also comes with transport wheels for easy relocation. Offering high-intensity interval training, the ProForm Cadio Hiit Elliptical Stepper Trainer is suitable for serious cross-training athletes. The CardioHiit is a hybrid elliptical/stepper machine with a more vertical path than a traditional elliptical trainer for a more vigorous workout. The multi-grip moving handlebars add an upper body workout, working your arms and core to help tone the whole body. You’ll be pleased to know that the high-intensity total-body workout offered by the ProForm Cardio Hiit is still low-impact, meaning that it’s easier on your knees and joints without the jarring impact traditionally associated with high-intensity training.